When we think of islands it is usually the tropical kind but travellers looking for island destinations should not overlook Europe. Some of Europe’s islands offer enormously diverse scenery, fascinating history and incredible beaches with crystal clear water. Here are my favourites. 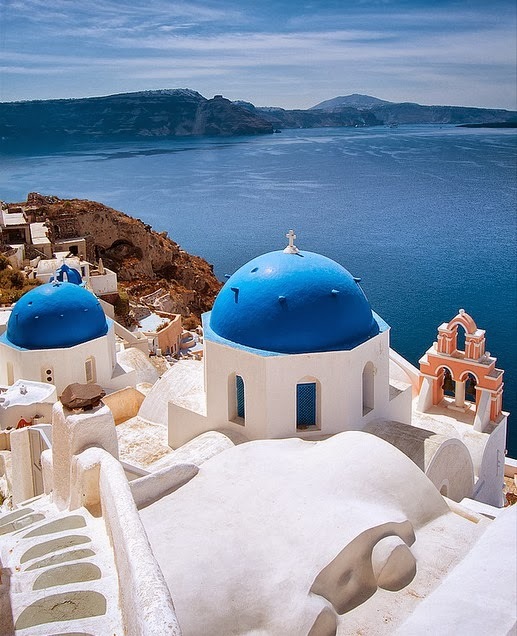 If you have ever been seduced by an image of the Greek Islands, it was most likely by a photograph of Santorini. Nestled amongst the Cyclades islands, Santorini was created by volcanic activity that left the island in the semi circle shape it is today. Settlements are on the clifftops making for spectacular sunset photos but also making beach access a bit of a mission. Santorini offers beaches of several colours though, such as red, black and white, so make sure you get to them. You can always ride a donkey back up the hill. Santorini is also known for local produce. Make sure you try the local wine and tomatoes. The Spanish island of Lanzarote is one of the largest of the Canary Islands in the Atlantic. The island is famous for it’s weird lunar landscapes and dark sand, on account of volcanic activity, and is a destination for Europeans looking for winter sun on account of it’s average year-round temperature of 22 degrees Centigrade. The island has caves to explore, beaches, parks and gardens, and offers other activities including theme parks, diving, golf and bowling. 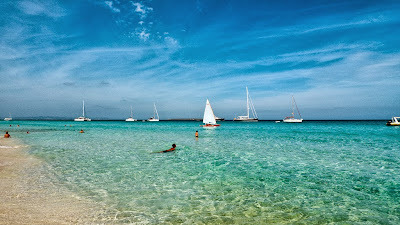 The party island of the Balearics, Ibiza leads the way for clubbing holidays in Europe. The island is a magnet to DJs who flock there in summer to showcase new tunes. Ibiza’s nightclubs are especially famous for their house, techno and trance music and live music events are held in summer. Away from the partying Ibiza also has an impressive history and large portions of the island are declared UNESCO World Heritage sites. Greek island Rhodes, in the Dodecanese islands, is one of the most popular destinations in the Mediterranean. Having been inhabited since the 16th century BC, Rhodes is full of history. The walled city contains many examples of historic architecture from different periods and there are several museums. Lindos and Faliraki are two of the smaller settlements on the island. It is also possible to make a daytrip visit to Fethiye or Marmaris in Turkey from Rhodes. 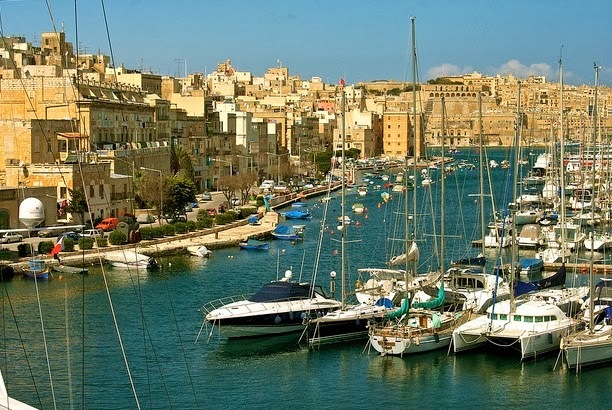 The island of Malta, just east of Libya and south of Italy, offers a fantastic mix of culture and adventure. Archaeological finds indicate Malta was inhabited as early as 5200 BC and the island offers plenty of art and architecture for history buffs. Nearby island Gozo is a haven for divers, offering spectacular underwater tunnels, caves and beautifully clear visibility. Above water Malta offers sightseers cathedrals, forts, museums, caves, beaches and even an air-raid shelter. Although technically French, Corsica’s culture contains elements from both France and Italy. The island is less developed than mainland parts of the Mediterranean and boasts spectacular natural scenery such as cliffs, gorges, caves, valleys, forest and beaches. Corsica also has a nature park and UNESCO listed nature reserve that offers protection to rare animals and plant species. Not only can Sicily boast of being the largest island in the Mediterranean but it is also home to Mount Etna, an active volcano that burps out clouds of black smoke occasionally. Mount Etna stands over 3,000 metres above sea level and hikers on Sicily are rewarded for their efforts with magnificent views. Cave drawings on the island indicate it has been inhabited since around 8,000 BC and as if to prove the point, there are six UNESCO World Heritage sites on Sicily including a roman villa, an ancient necropolis, islands and of course Mount Etna. 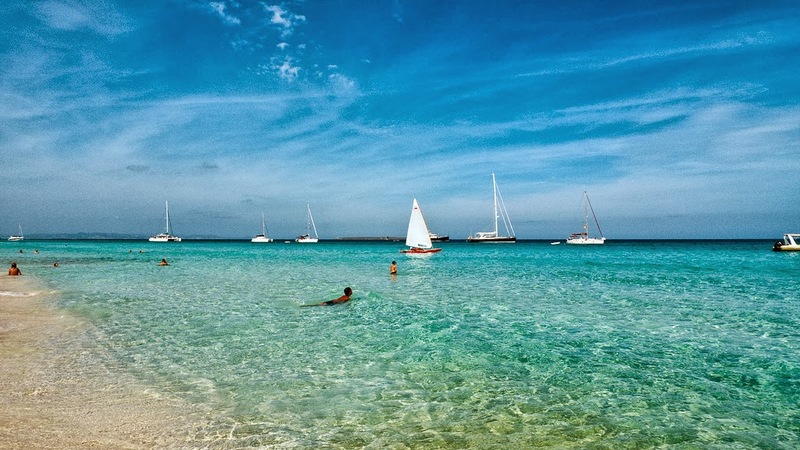 Have you got a favourite European island? Please let the rest of us know about it in the comments section below.